What’s there in Wisconsin Dells to not boast about? Located in South Central area of Wisconsin, this place is literally packed with wonders and is also renowned as The Waterpark capital of the world. Whether it’s about those fun thrilling rides in Noah’s waterpark or it’s about scenic beauty, it literally has got it all. This is the reason why it is a chosen favorite among many tourists. So, it’s not very surprising to know that about 5 million visitors come to visit Wisconsin Dells annually. Irrespective of what age group you belong to, there’s something in store for everyone in Wisconsin. So, whether you’re going with your loved ones or with your family, you’ll never be bored of it as it’s the perfect place to get away to. Apart from the various entertainment spots, the city also houses some of the best eateries that offer you food like no other. If you’re a shopping freak, don’t fret as you can shop your heart out at Downtown Wisconsin Dells. However, before planning for a vacation, it’s advisable to search for the best place to stay at Wisconsin Dells to avoid any trouble during your stay. 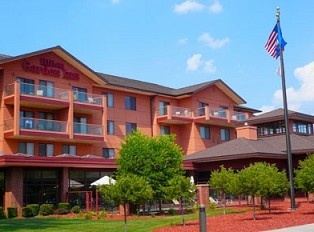 The best place to stay in Wisconsin Dells offers you all amenities you’ll ever need so that you can easily relax after you’re all tired of the day’s adventures. Visit Wisconsin Dells at the earliest.